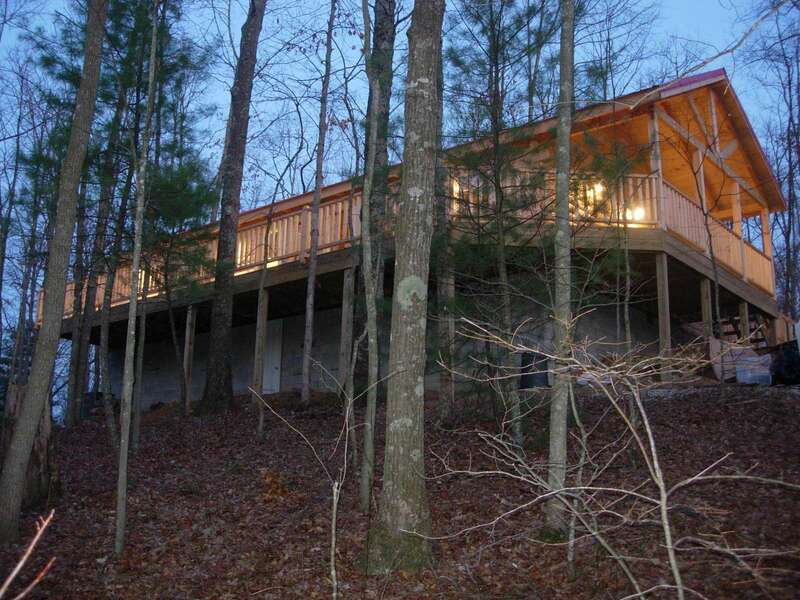 Located in Cliffview Resort, home is deeply secluded in the woods overlooking a clean, clear fishing pond. Spacious floor design. A credit card is required to be on hold in case of damage. Renters paying by credit card may pay the full amount at time of reservation or pay half on card at time of reservation and half 3 weeks prior to trip. Online bookings require full credit card payment upfront. We accept Visa, Mastercard, Discover, money orders and checks. Renters wishing to pay by check may do so by submitting check 3 weeks prior to arrival date. We reserve the right to require a credit card to hold the cabin, to cover damages, or to charge for “illegal or non-disclosed” pets or for non-compliance of trash policy. THE CREDIT CARD WILL BE AUTHORIZED TO HOLD OUT $400 AS A DAMAGE DEPOSIT. THIS AMOUNT IS NOT COLLECTED OR CHARGED OUT UNLESS DAMAGE HAS BEEN DONE TO CABIN, HOT TUB OR A POLICY VIOLATION. People paying by check without a credit card or using pre-paid credit card may pay the extra $400 upfront and this money will be returned once cabin has been inspected. We do not share any credit information with any customers or third parties, all credit card information is kept private.